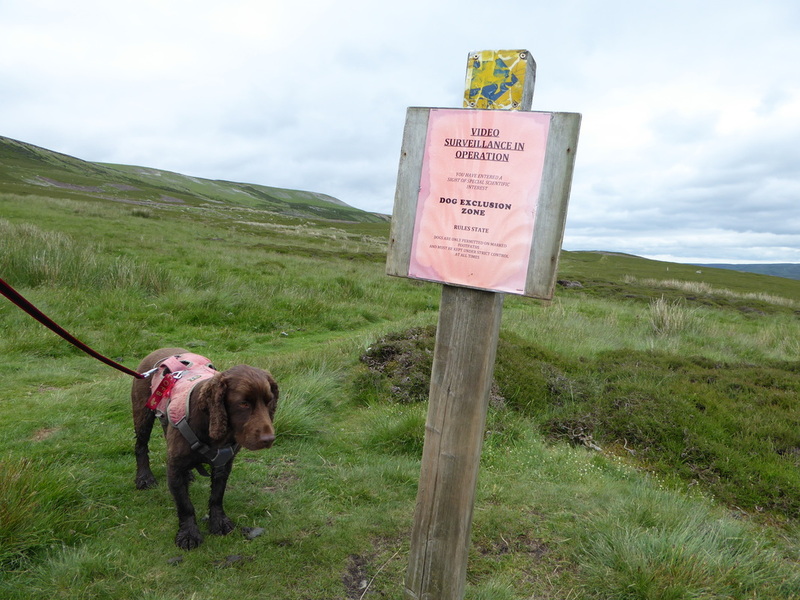 The walk today is one we have done a few times now and is full of interest. 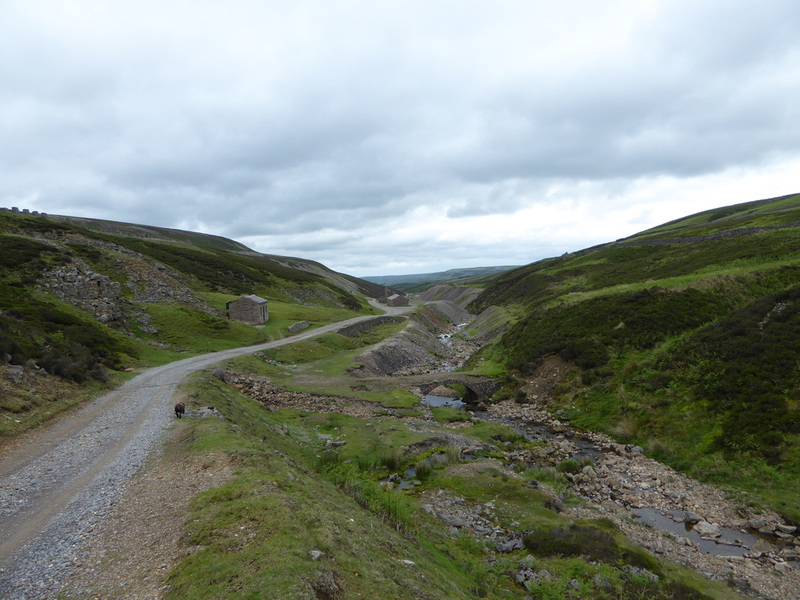 There are two possible Coast to Coast routes from Keld to Reeth and the choice is more or less dependent on the weather. 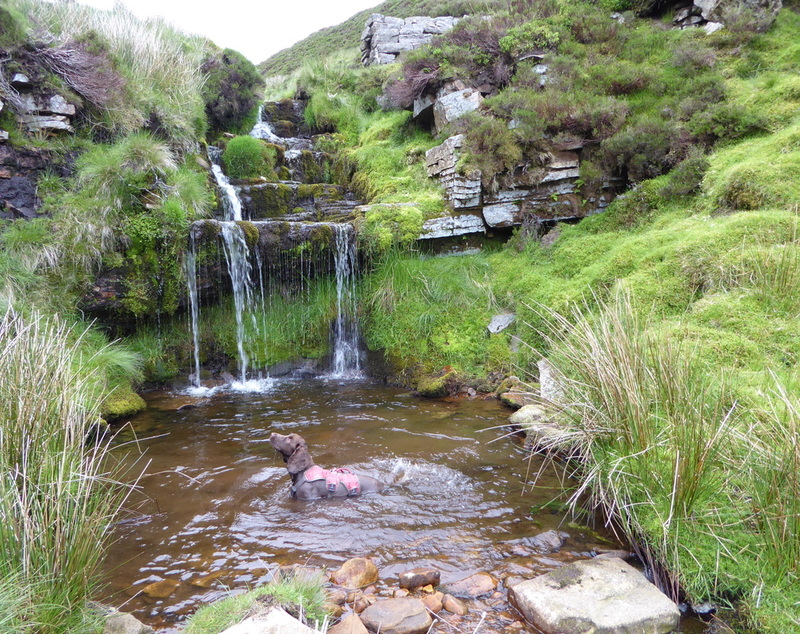 The low route is via Muker & Gunnerside and the high route takes you over Melbecks Moor and the many old ruined lead mine workings. 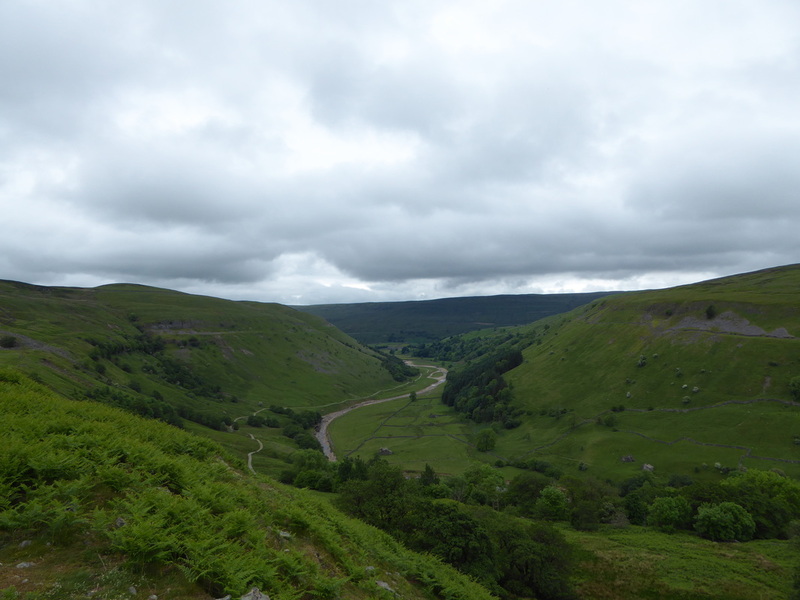 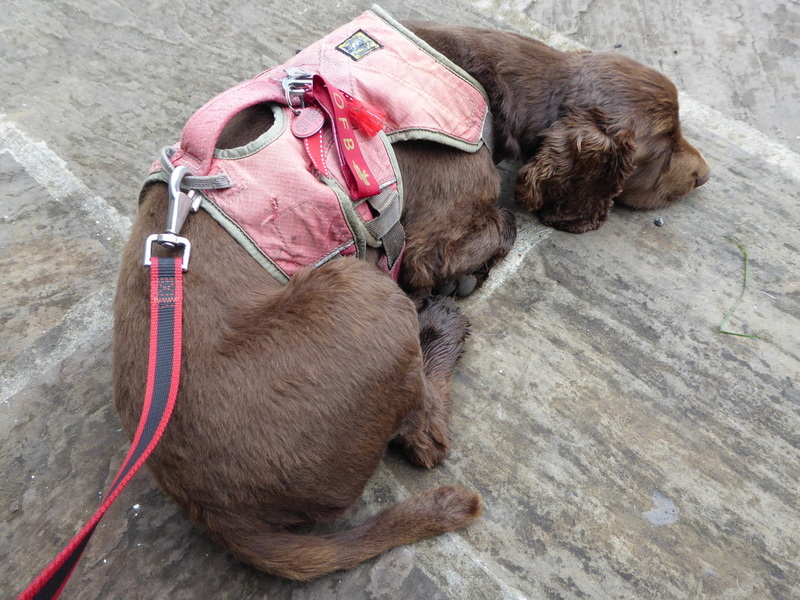 The visibility today was looking ok therefore unlike 2012 we would head to Reeth via the high route and see how it went - as it happened it remained overcast and mild with some fine rain as we entered Reeth. 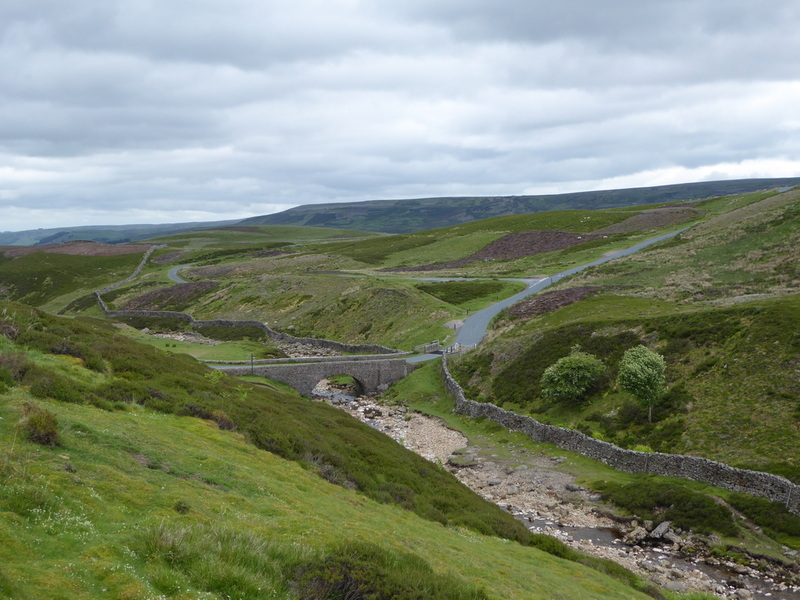 We breakfasted in company with our fellow guests - they were all off to Reeth via the low route today and we assured them that they were in for a treat. 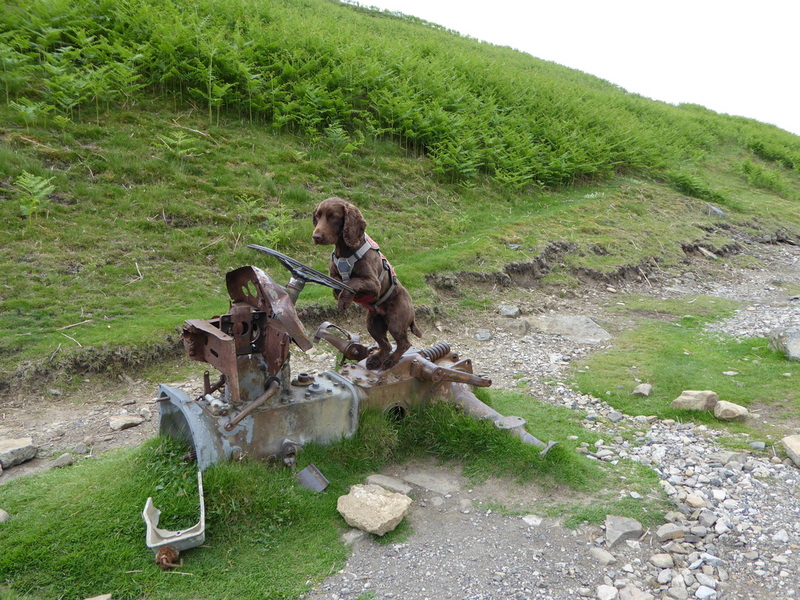 During the conversation we found out that the 2 Kiwi chaps were Vets - as was Bob the US guy. 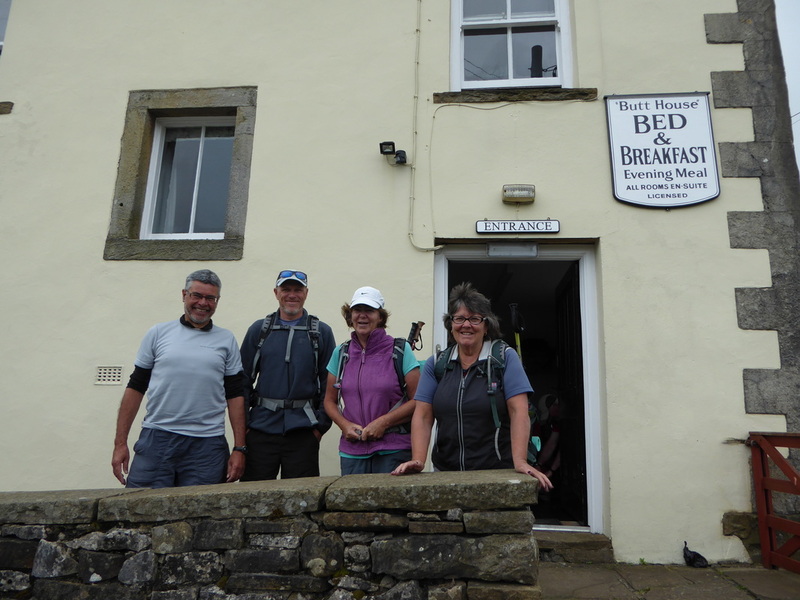 Breakfast over we said goodbye to the owners Jacqui & Chris, took a quick photo of the Kiwis and headed down to the footbridge over the Swale where the Pennine Way and Coast to Coast meet. 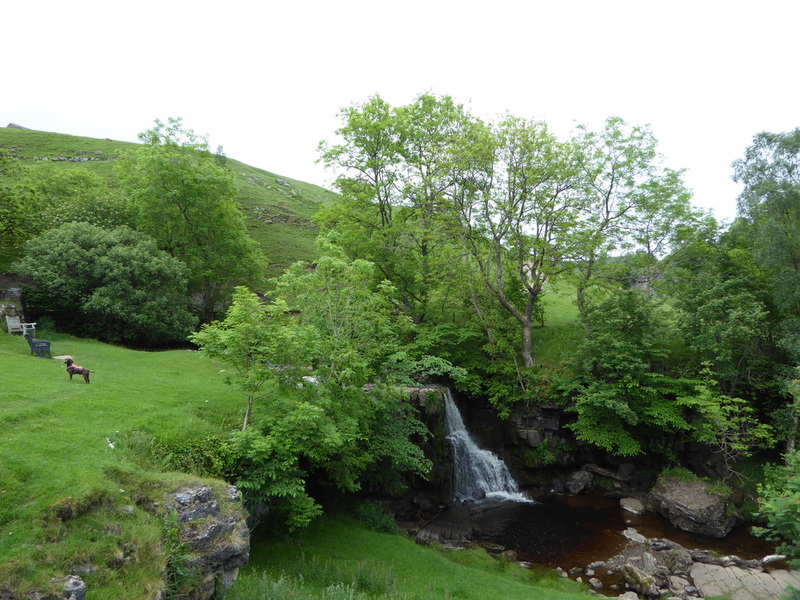 The route out of Keld rises gently to reach the ruins of Crackpot Hall - an old farmhouse abandoned in the 1950s because of subsidence. 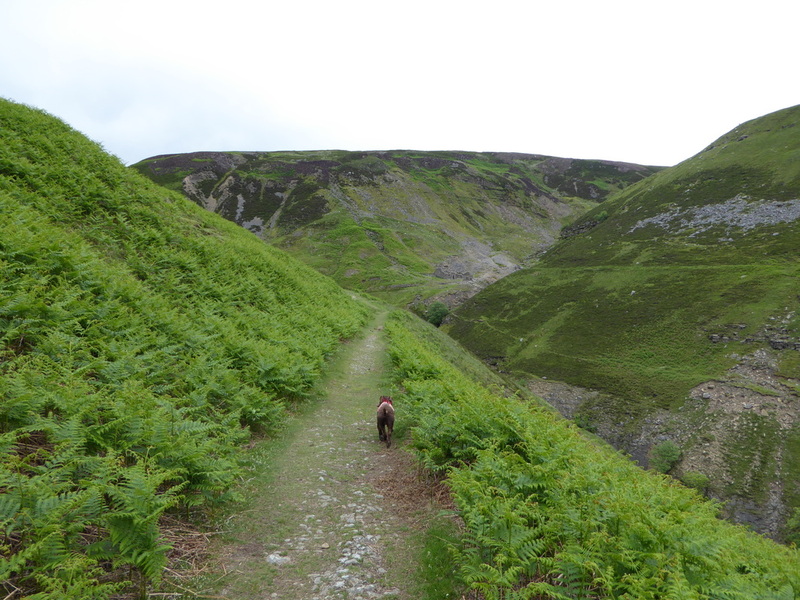 It must have been amazing to live here - the view down the valley towards Muker is fantastic. 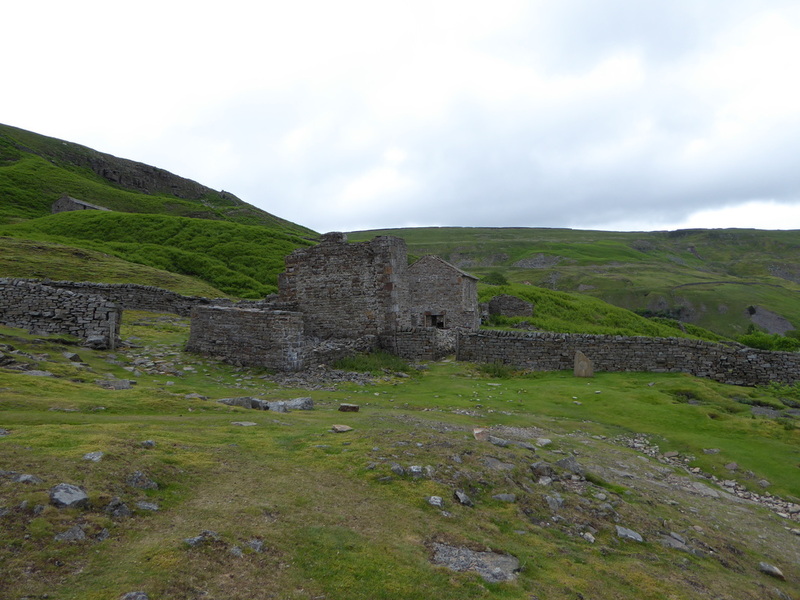 From the ruins we headed uphill to contour around the hill on a sometimes precarious path to reach the ruined smelt mill buildings at Swinner Gill. 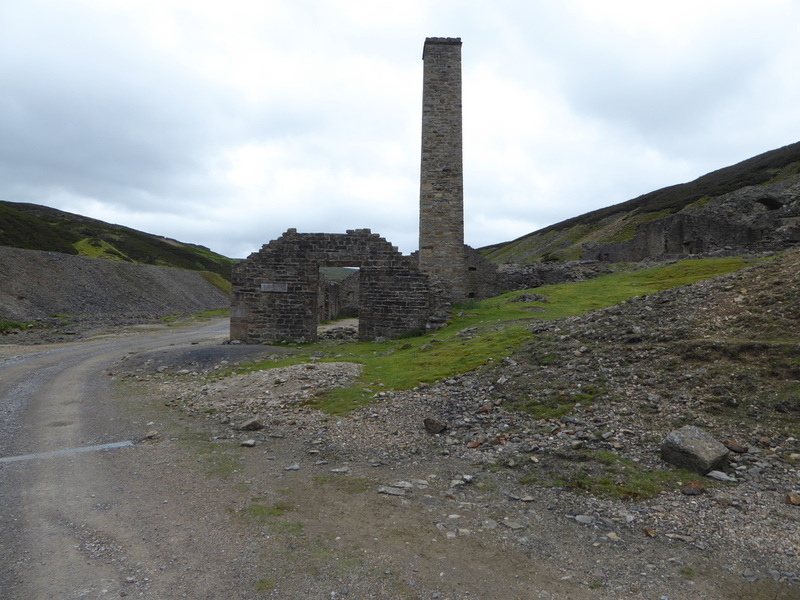 Both here and at the other ruins on the route today would have been a hive of activity a hundred or so years ago - however today there is not much left apart from the obvious scars of lead mining and the ruined buildings. 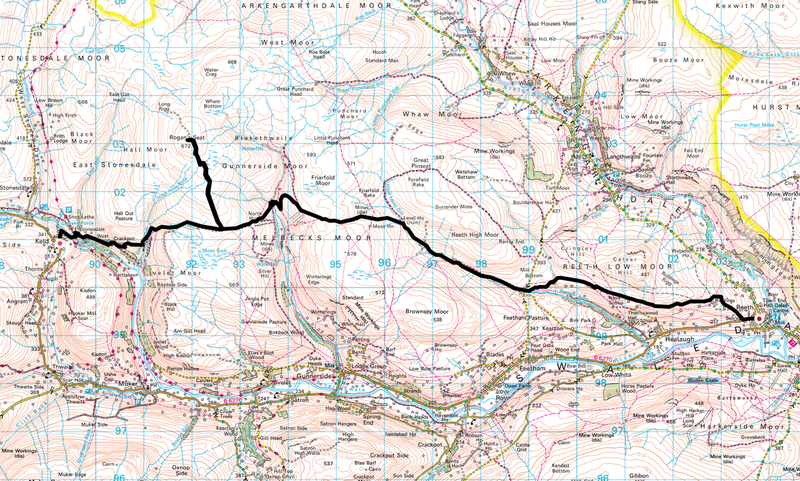 The route then headed steeply up East Grain to join up with the good track coming up from Muker. 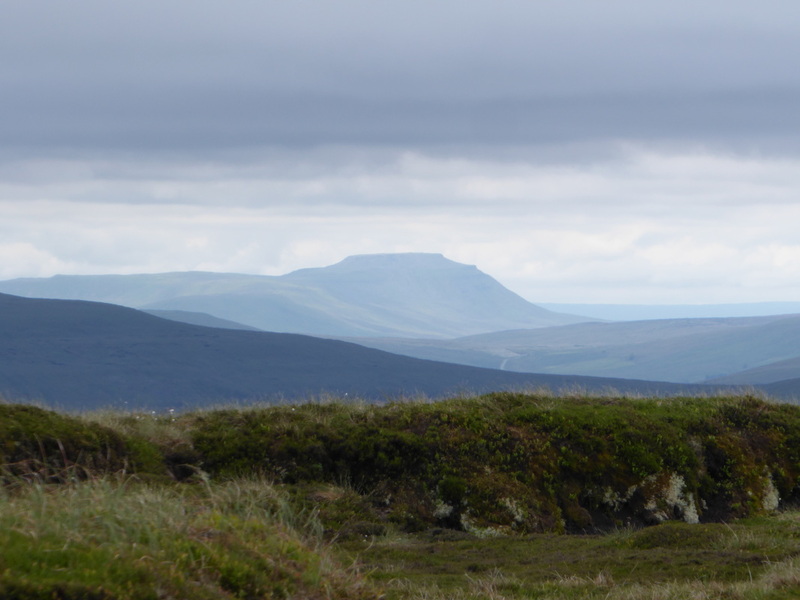 The path had levelled out somewhat and we soon reached the turning for Rogan's Seat - an out and back of about 2 miles to bag the Nuttall and once at the summit we had a really good view over to Ingleborough. 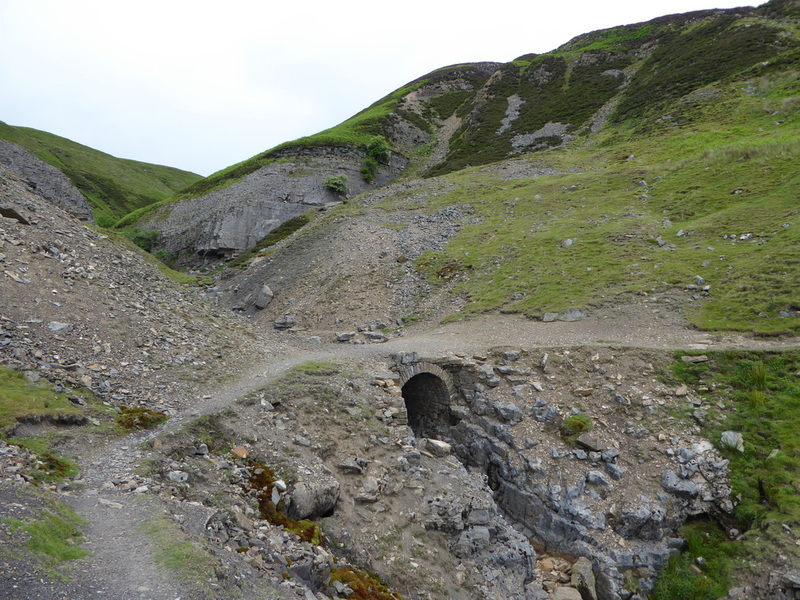 Returning to the main path and ignoring a second gravel track that headed off to the left we kept an eye out for the cairns that mark the turning down to Blakethwaite mine ruins - it is easily missed. 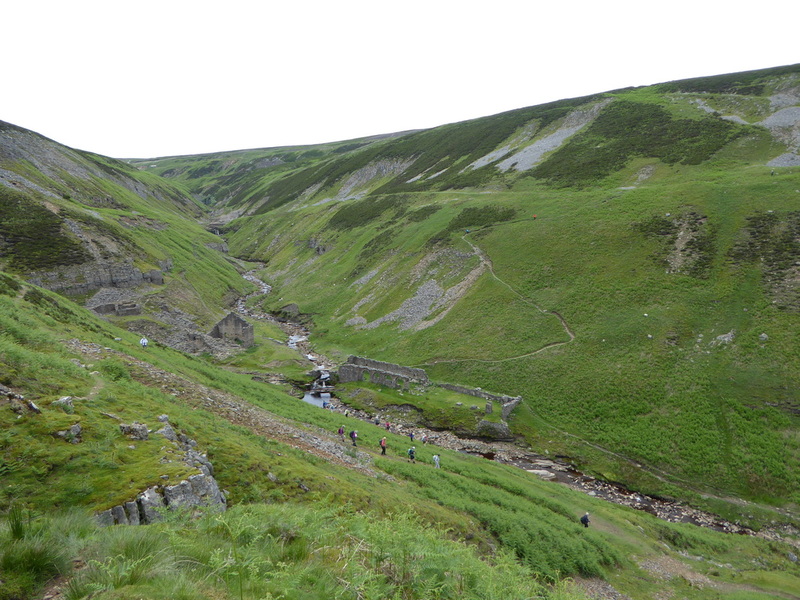 There was now a steep descent to the ruins and we could see a familiar sight making its way down the zig zag path to the valley floor - it was the HF group. 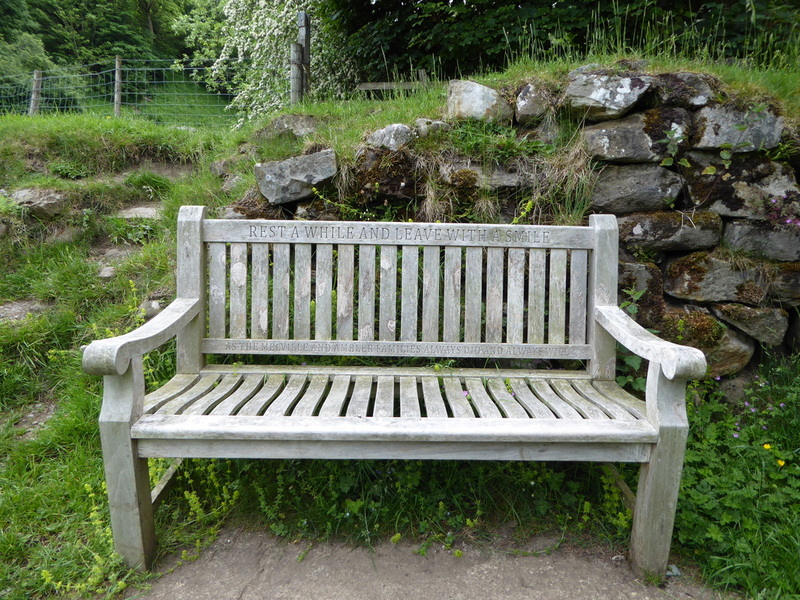 The ruins at Blakethwaite are a lovely spot for a break however the HF lot had spread themselves all over the place therefore after a quick chat we left them to it and headed up the other side of the valley onto Melbecks Moor. 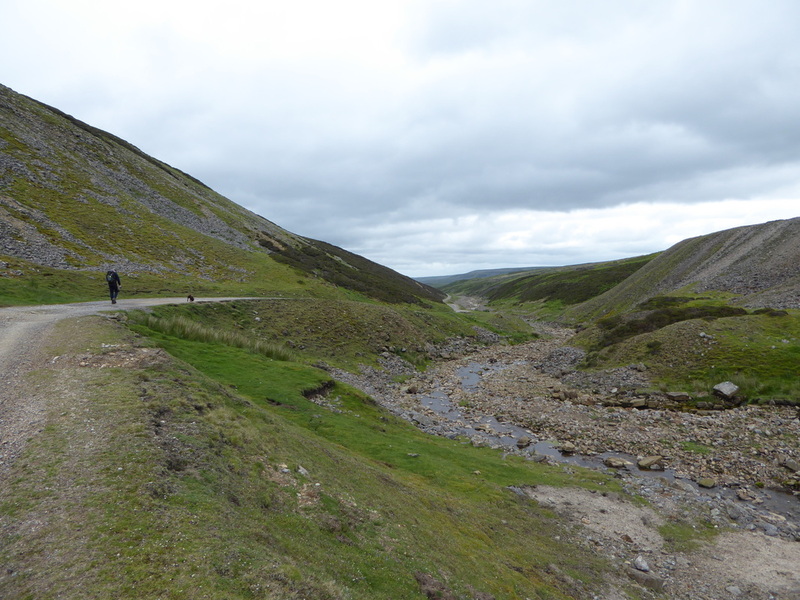 At the top of the rise were 3 women we had seen coming out of Keld - they were resting up and we therefore stopped for a quick chat. 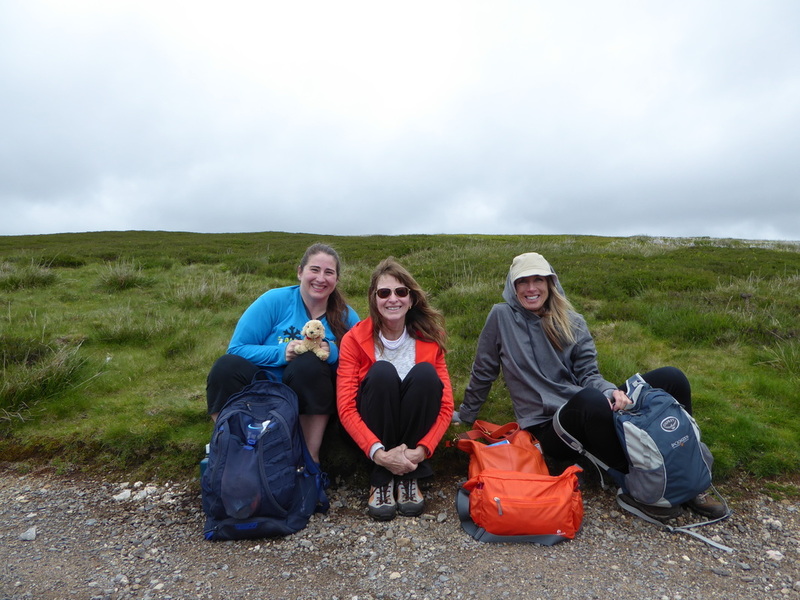 They were from Oklahoma and were walking The Heriot Way and like us were off to Reeth today. 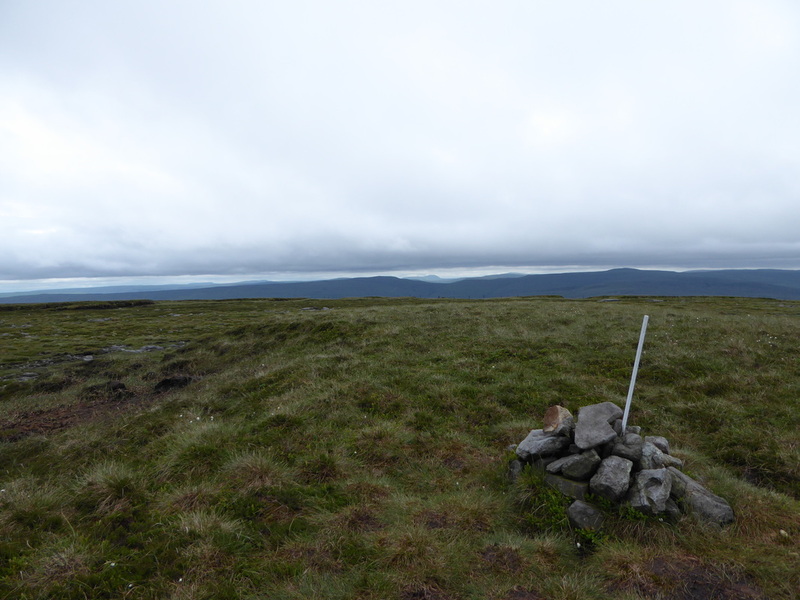 We bid them farewell and good luck and ventured up on to the surface of the moon - also known as Melbecks Moor. 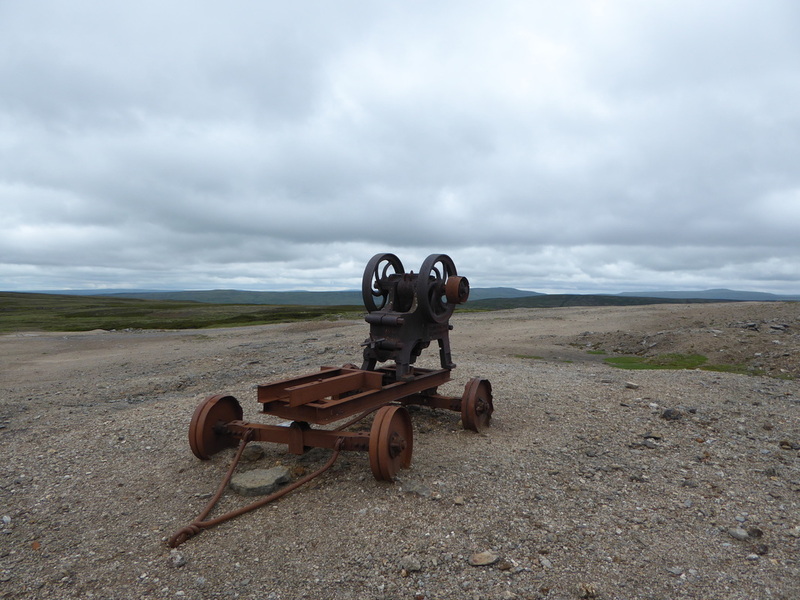 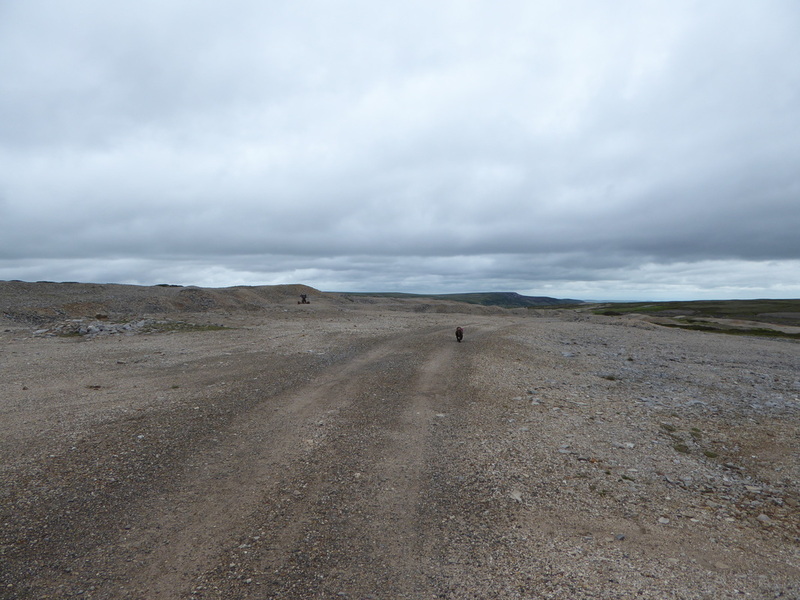 There is little vegetation here and the top of the moor is bare rock and gravel - all waste tips and spoil heaps with an old stone crushing machine thrown in for good measure. 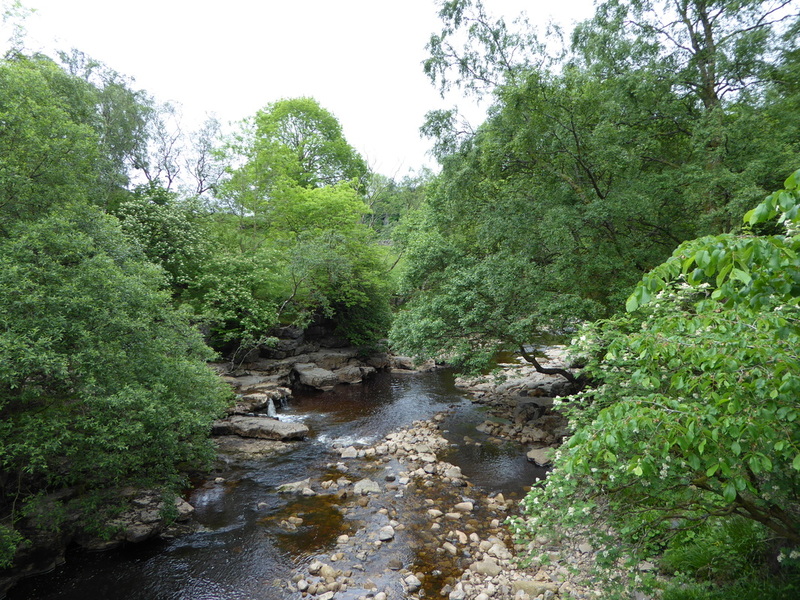 It is pleasant walking though and the vegetation soon returned as we dropped off the moor to reach Level House Bridge and the chance to have a quick snack. 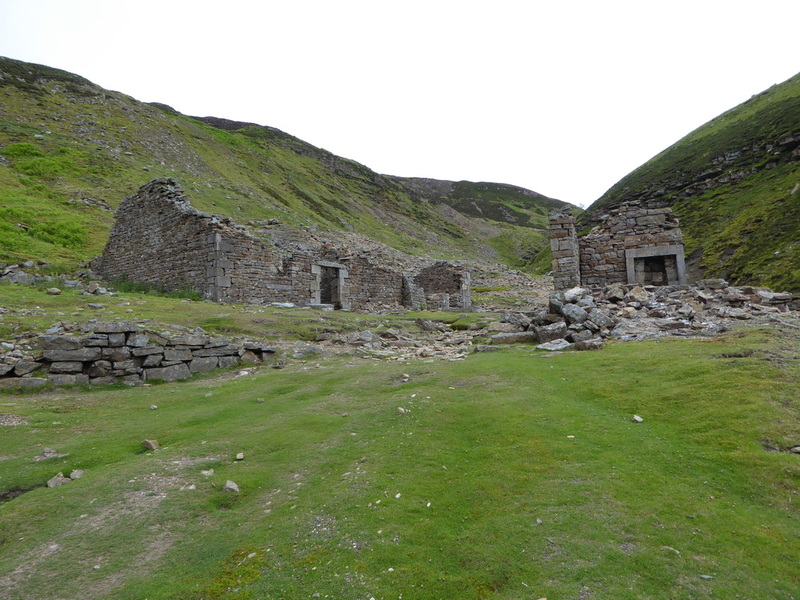 Pushing on from Level House we shortly arrived at the impressive smelting mill ruins at Old Gang, in use until the latter part of the 19th Century and remarkably well preserved for its age. 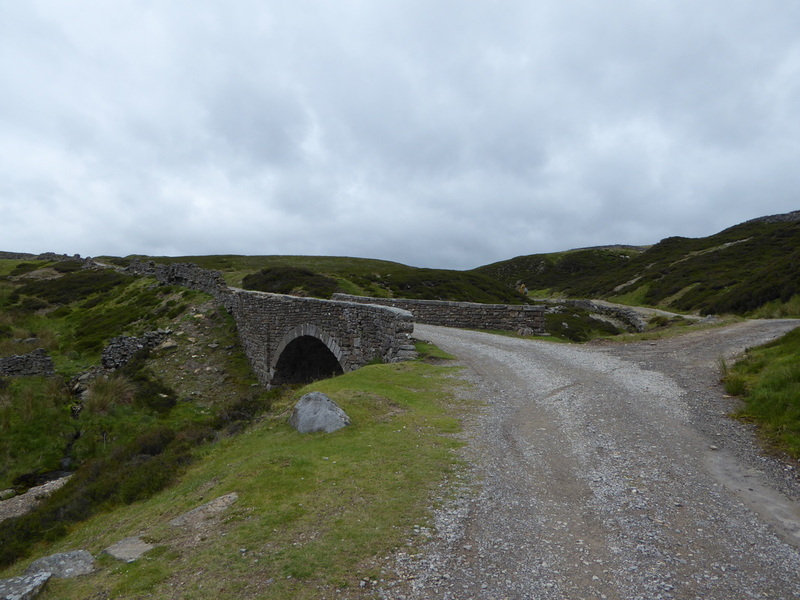 The excellent track continued down the valley to reach Surrender Bridge to cross a road and pass more ruins. 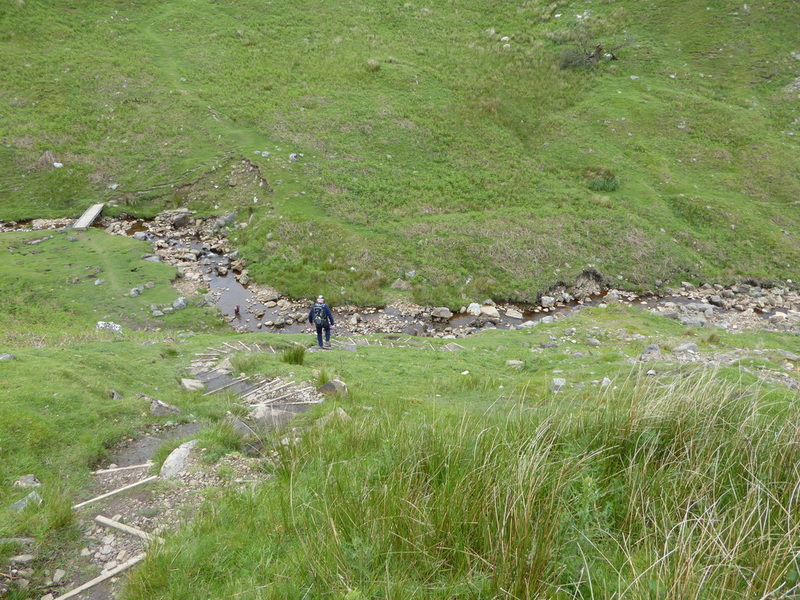 The path from the ruins followed a line of cairns to reach Cringley Bottom where there was a sharp descent to a small bridge then a steep climb out again. 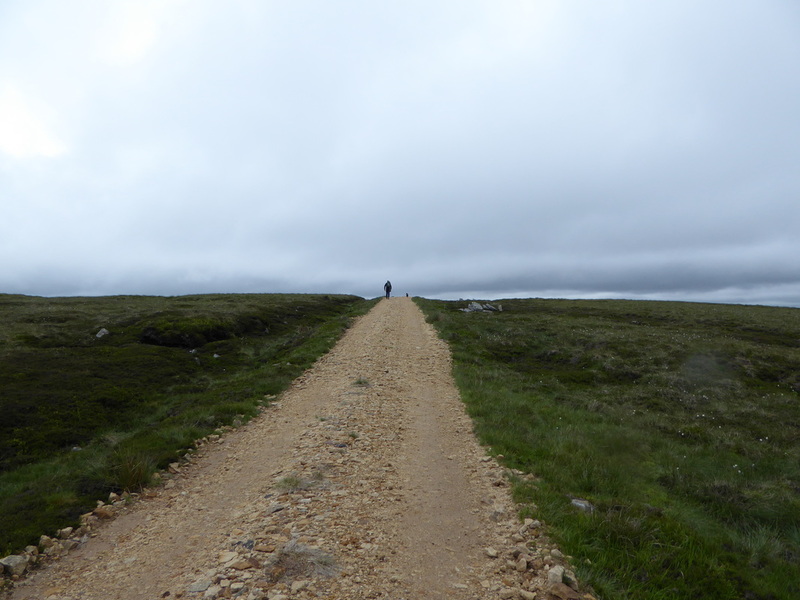 The path then seemed to split and rather than drop down to the wall we stayed high on another path above Thirns, rejoining the main path after Moorcock Farmhouse. 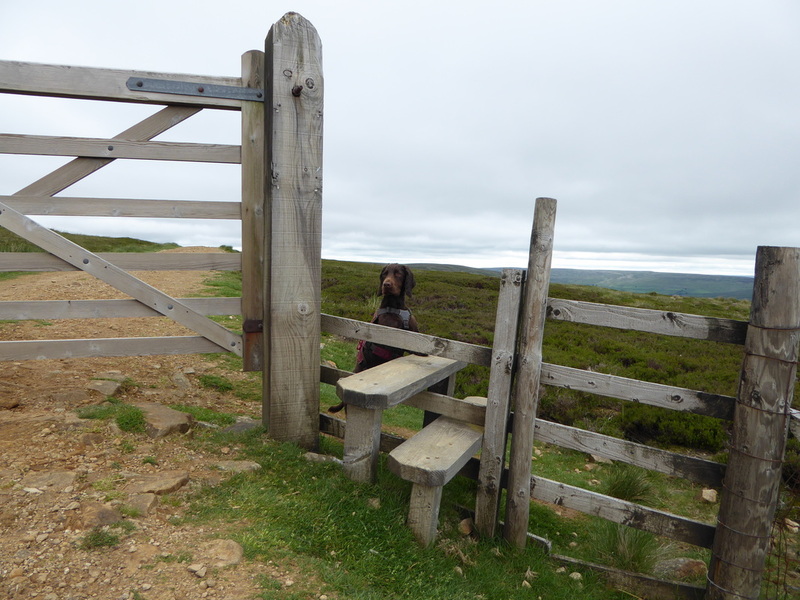 On the lead you go Fudge - couldn't see any CCTV unless they were on the sheep! 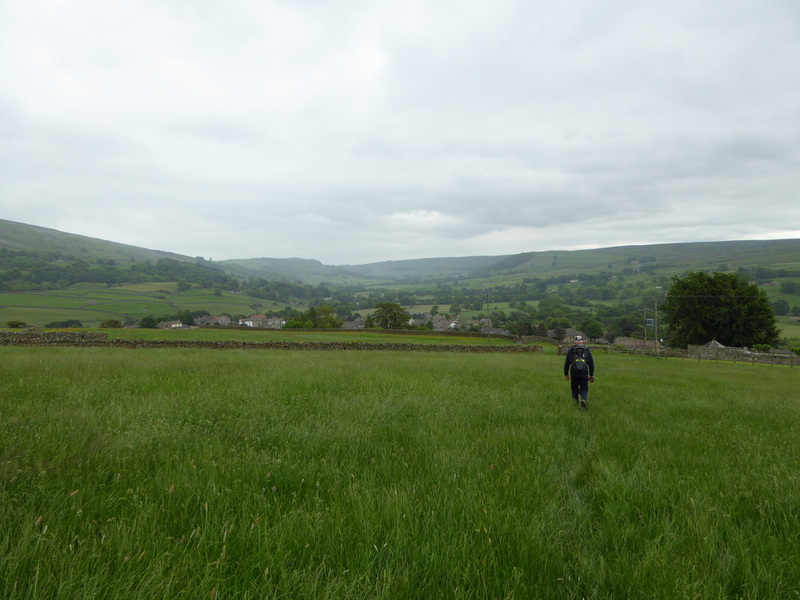 Joining a track the route hand railed a wall for a mile or so to pass a farm from where we reached a gate to cut across a field to end up by the side of The Old School House - we stayed here in 2012 but sadly it is not a B&B anymore. 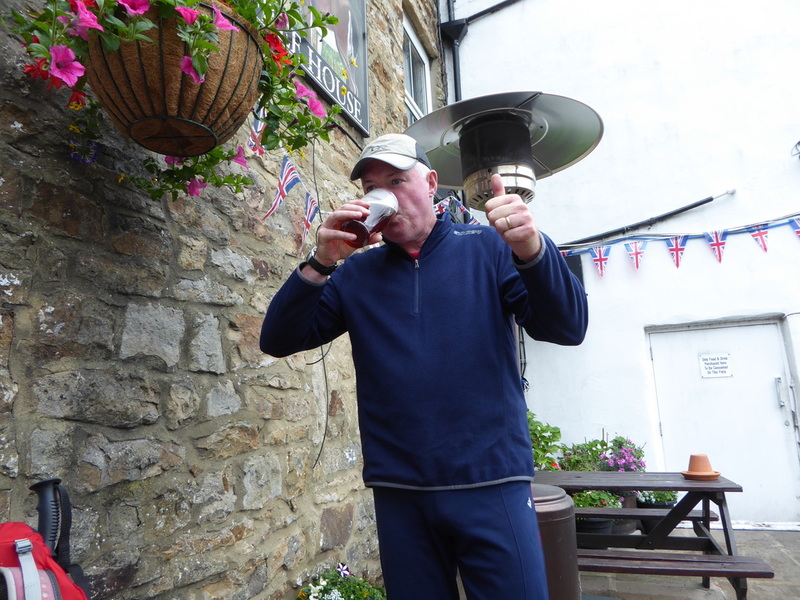 It was now a simple case of following the B6270 for a few hundred yards to arrive in Reeth and our bed for the night at The Buck Inn. 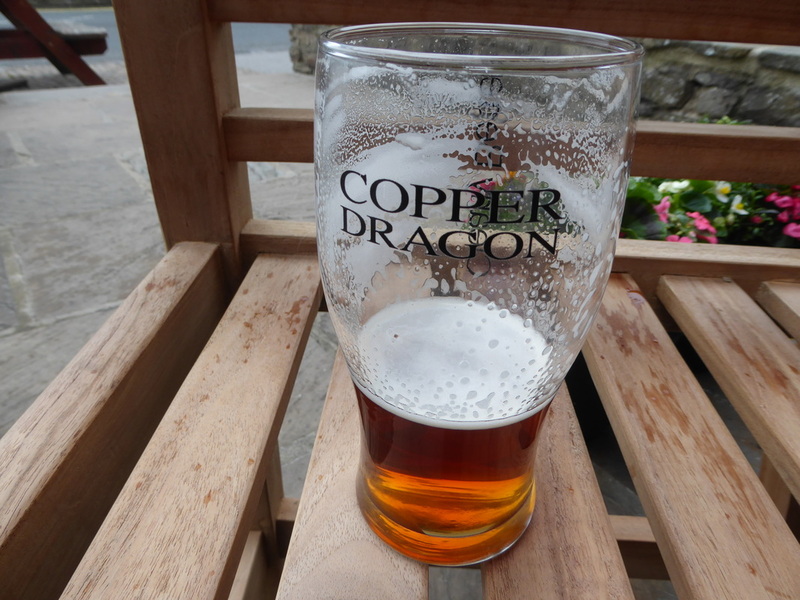 Already in residence were Bob & Ellen and after a quick chat we sat outside and enjoyed a nice cool drink - the Copper Dragon went down a storm, so much so Dave had a couple of them. 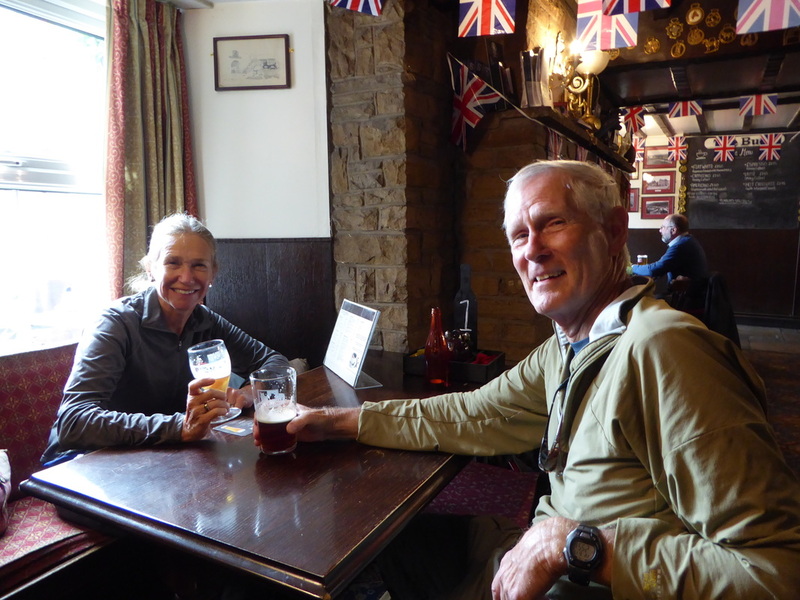 After checking in we met up with Angie's brother David who was over from Australia with his wife Rachel and had come up to Reeth to meet up with us. 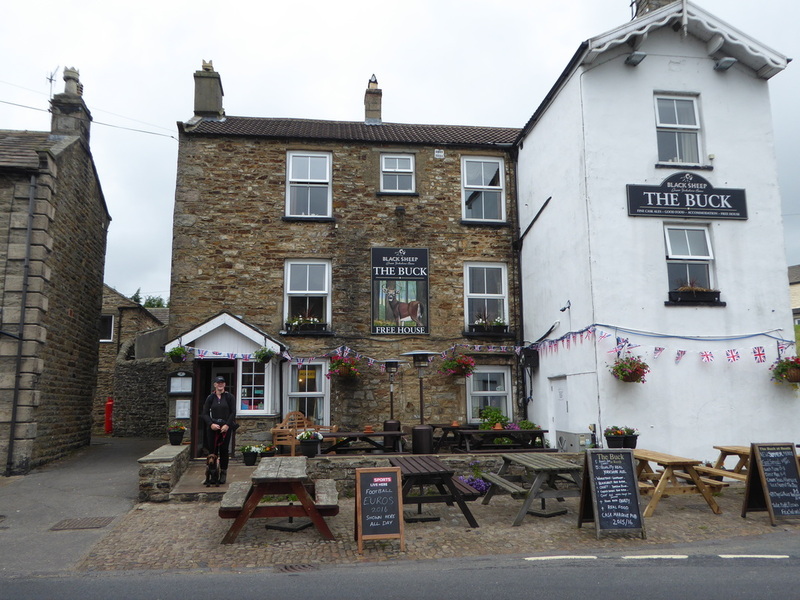 We enjoyed a very good meal in The Buck Inn's restaurant before turning in. 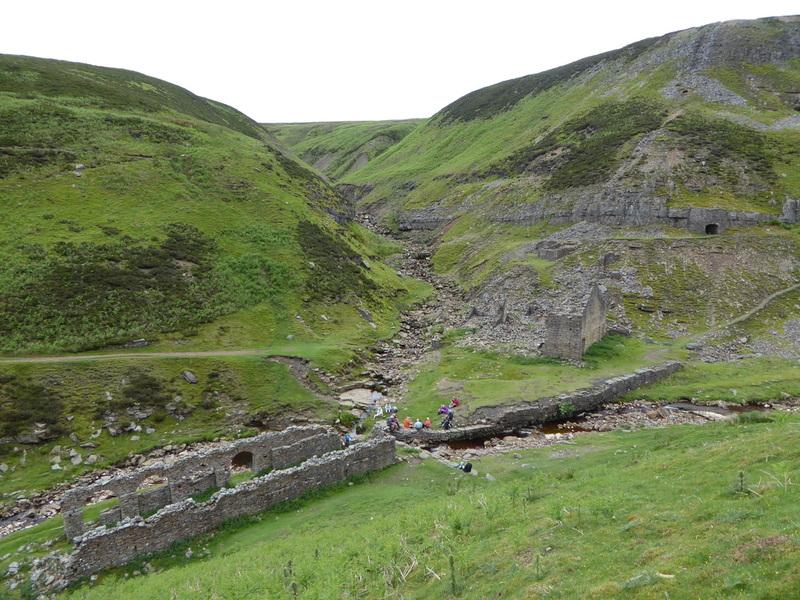 today had been an excellent days walking - it always is in this beautiful part of the Yorkshire Dales. 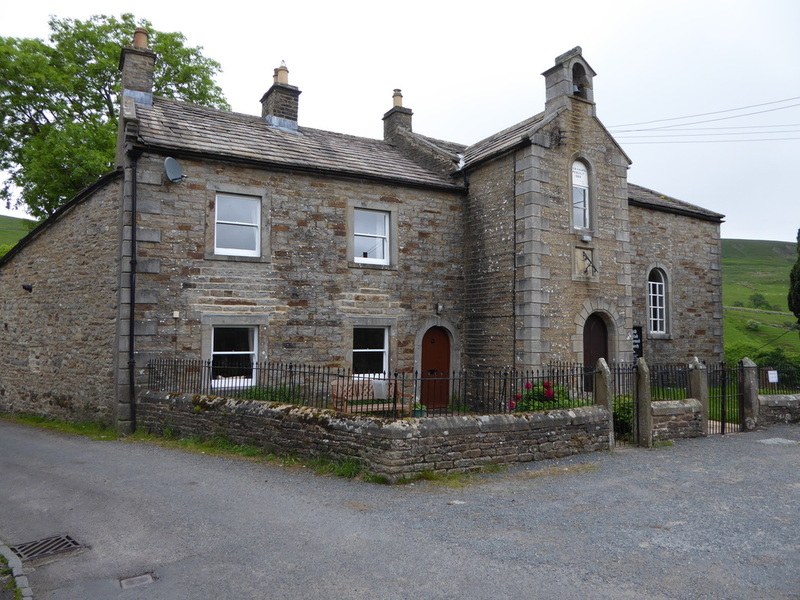 ​A really lovely stay here - large room, great beer and really good home cooked food.